In 1998, Santa Monica created a Telecommunications Master Plan that has guided it for the past fifteen years in building an impressive fiber network connecting all community anchor institutions and many business districts. 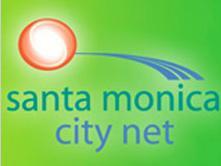 We have just released a case study detailing this effort, entitled: Santa Monica City Net: An Incremental Approach to Building a Fiber Optic Network. Below, you will find the original Master Plan and Exhibits. Santa Monica got it right - this document can still be a model today for communities across the United States. This document is particularly important for local governments that do not have a municipal electric department because it offers an alternative model run out of the IT department.